1) Pallets can be located, accessed and moved individually. 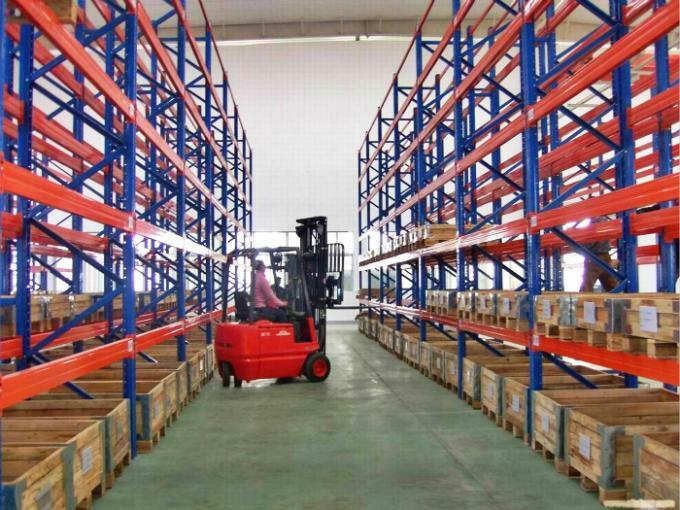 2) Rapid handling of almost all types of palletized goods. 3) Infinitely adjustable and offering a wide range of options and components to accommodate specialized needs. 4) Maximizes space use in any warehouse configuration while retaining optimum product accessibility. 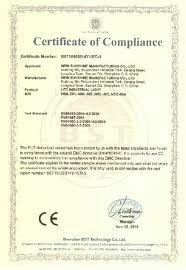 5) Strength and rigidity prevents compression damage to goods. 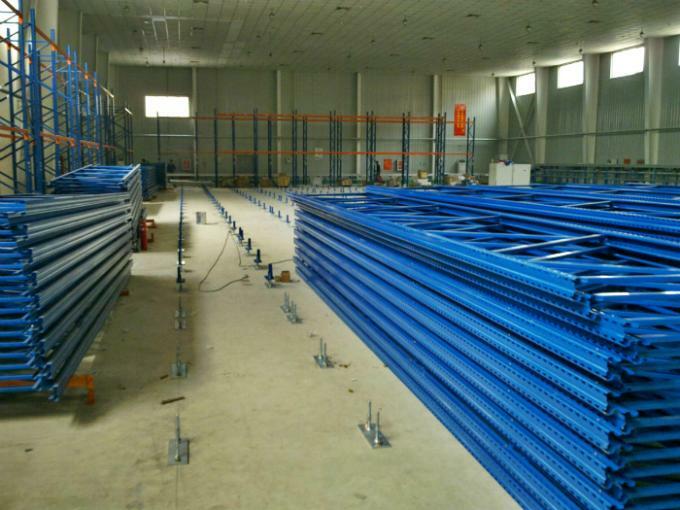 6) Bottom level of pallets can be stored on the floor, lowering structure costs. 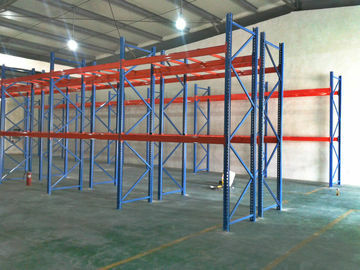 1) Selective pallet racking allows 100% access to every pallet location at any time. 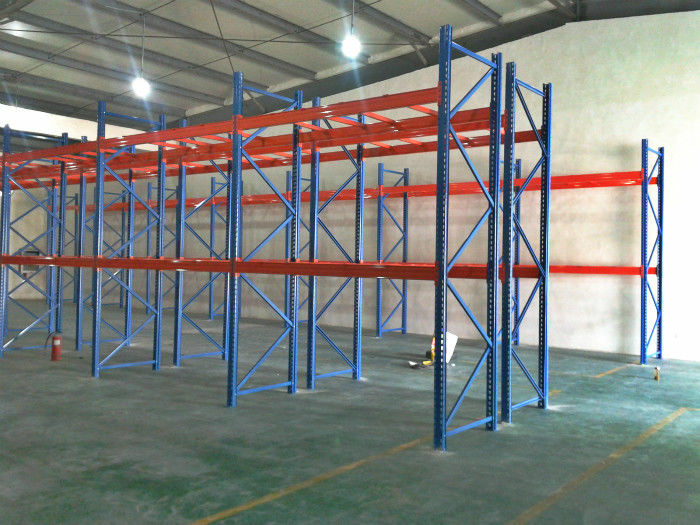 2) When correctly designed there are few limitations to the type of goods that can be stored in selective pallet racking. 3) Selective rack is designed for your individual needs. 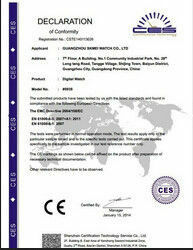 It is configurable to suit your storage requirements, your warehouse parameters and your materials handling equipment. 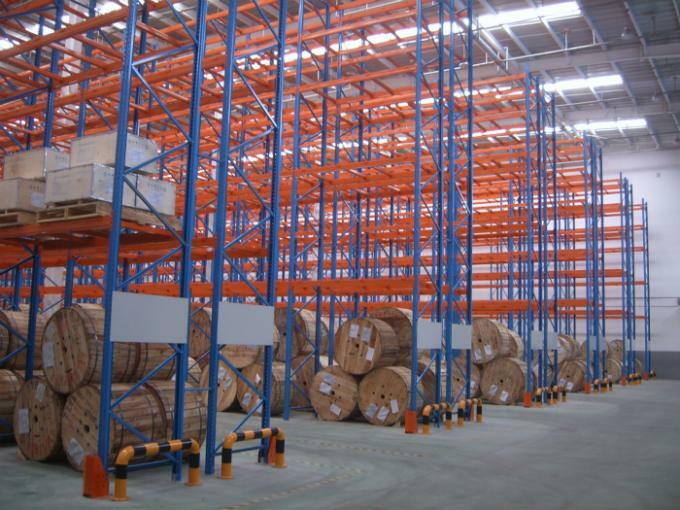 4) Selective racking requires a relatively low capital investment, yet provides the highest flexibility. 1). How high (5000mm or 6000mm) -- most popular is 5000mm. 2). How long (2500, 2700, 3000, or 3800) -- most popular is 2500mm or 2700mm. 3). How many levels (3, 4 or 5) -- most popular is 4+1=5 levels.